In this weeks DungeonRise preview series, we feature a few glimpses from DungeonRise: Dungeon Essentials. 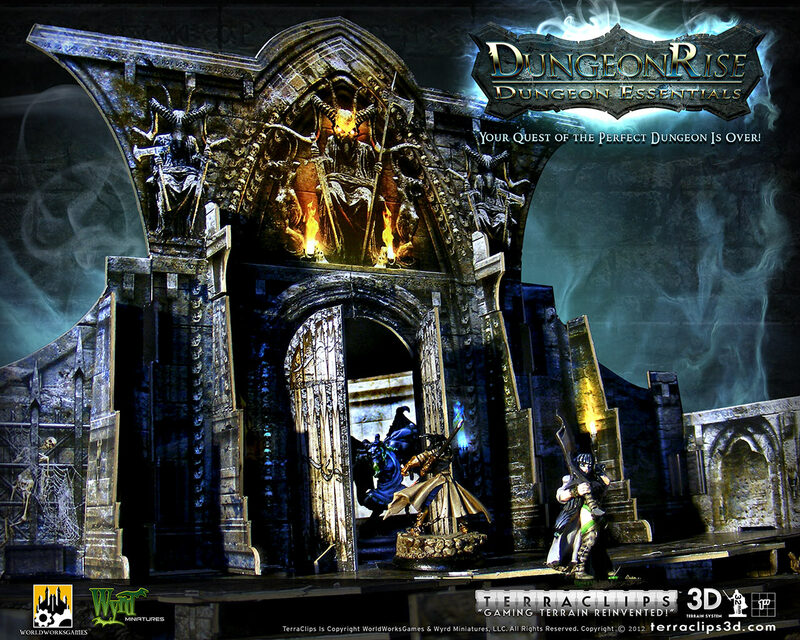 Join us next week for more eye candy from Dungeon Essentials as well as a detailed breakdown of what's included! Not sure which is cooler: the amazing decorative flourishes like the fireplace and the door topper or the angled walls. Think I have to go with the angled walls, as beautiful as the decorative stuff is. Can't wait to see the full set! This is the best news I've heard all week. Eat your heart out, WotC. That's even better than I've been expecting, and I've had some pretty high expectations for this. Love the detail. Love the broken floors and traps. Love the detailed cardstock connectors that work as alternative clips. I'm very impressed at the details you put into these sets. It must have been a real challenge to design. Okay. that, most unambiguously, is an angled wall section! The previous sets are sadly lacking that. will it ship before the end of summer? Last edited by badula on 05-30-2012, 11:12 PM, edited 1 time in total. Thanks Pat! From a visual standpoint, creating a fresh take on a multipurpose dungeon, that wasn't boring or cliche was definitely a challenge. One of the greatest things about heading into the design of these sets was that I had a much more clear understanding of where I could push things structurally. So much was learned that first time around and I was able to play to the strengths of the format with DungeonRise. For the reasons that you mentioned, Denny, I am glad that the kinks were worked out on the other sets. Due to the more simple structure types needed in those sets, they don't feel like they are lacking, but this set might have if done with the same basic structures. I am SO ANXIOUS to get this stuff on my gaming table. I plan on filling my table with it. Agreed! This is unique, visually appealing, and I look forward to grabbing some - it will be my first TCP set. Oh my, am I a giddy camper at those three screenshots. I think the floor trap might be the most pleasant surprise of all, as I expected the traps to be "tiles" rather than dimensional. How silly of me. 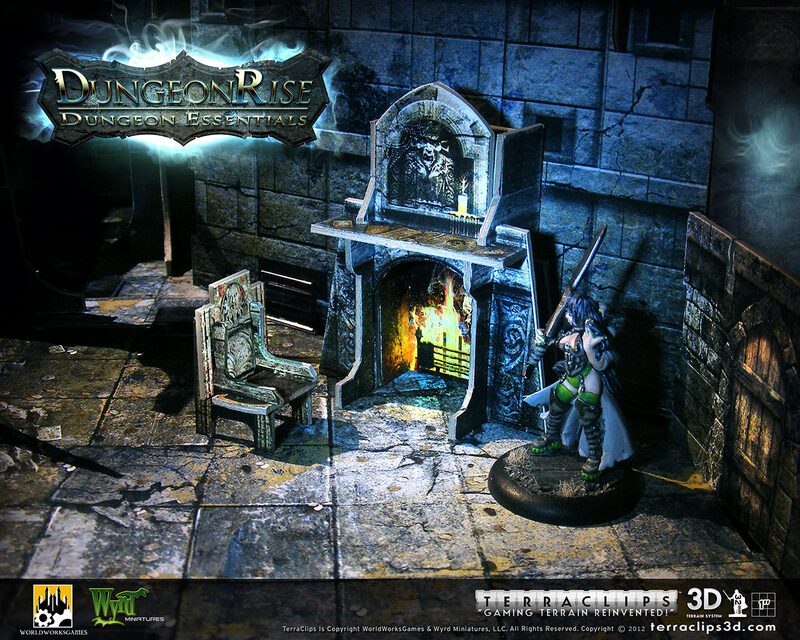 As someone who just bought the Malifaux trio (for HeroClix and Pathfinder) of maps the same day DungeonRise was announced, I'm really pleased with what I'm seeing. 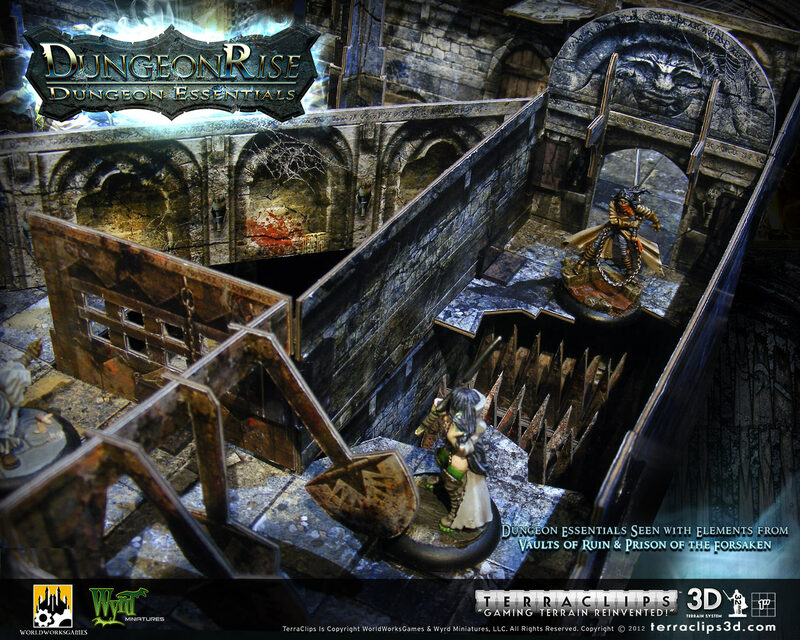 Makes me excited for the future battle locales on my gaming table! Grips ... I think I'll be buying all of these sets. I'm at a lost for words ... beautiful work ... just incredible!!!! Every time I open this thread it makes me want the new sets just a little bit more. I have actually started a gamer fund that, as of now, is all reserved for Terrain purchasing. Been away for a while but finally getting back into gaming. This look awesome. Particularly like the spiky pit trap. Welcome back! It is a great time to be a WWG fan and supporter! Both of these sentiments apply. Welcome back to the fold. Make sure and post pics when you get the chance. A quick question for Denny. Will these sets offer 10' and 5' wide corridor options ? Very excited about DungeonRiuse btw. I love the first three Terraclips and I'm super excited about these next ones. Can't wait to give you more of my money. How much of this is true angles (I.E. clips that go at not 90) and how much is a clever way of using the balcony system from the last edition? I.E. no new clips, but what we do have is that floors can come together at an angle, be joined with an I clip, and then the walls placed directly on that section via L's? The last image in the first post of that thread shows a list of stuff in the box. This includes angled floors. I have heard nothing of a new clip design. So, basically, your second question is on track.